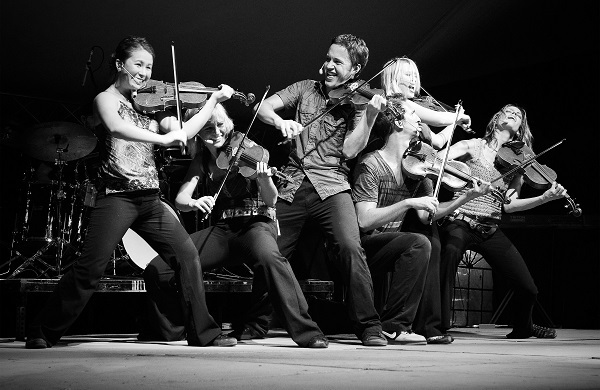 Barrage 8 is a high-octane fiddle-fest that features an international, multi-talented cast performing an eclectic mix of music, song and dance. 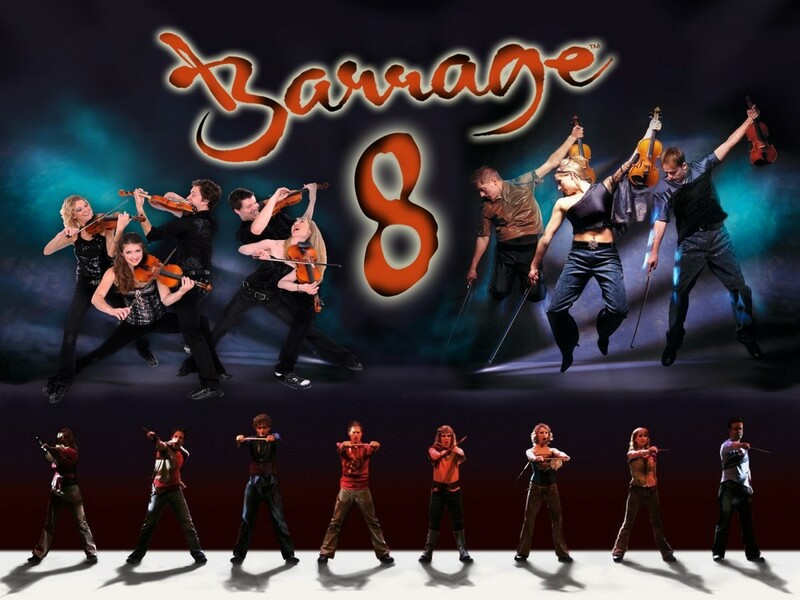 Featuring all of the instruments in the modern string family, Barrage 8 is a memorable presentation of music, from many genres and cascading generations, delivered in a way not seen or heard before! The “8” in the name represents a re-imagining of the string octet: 4 violins, 2 violas, cello, and double bass. This instrumentation drives a rich and powerful sonic palette that further explores the musical diversity in the Barrage 8 compositions and arrangements.